All repairs done in house by our quality craftsman. Combining decades of expertise derived from New York City’s Diamond District, Lafayette Jewelers will provide you the finest jewelry service in the country and enable you to celebrate life’s special moments, preserve your memories, gifts, and heirlooms for generations to come! We offer a full service of fine jewelry as well as watch repair for major watch models. Lafayette Jewelers is the Triangle’s most referred location for high-end watch repair and battery replacement, on-the-spot while you watch and wait. Other large-scale jewelers will often ship repairs at a premium cost with longer wait-time. 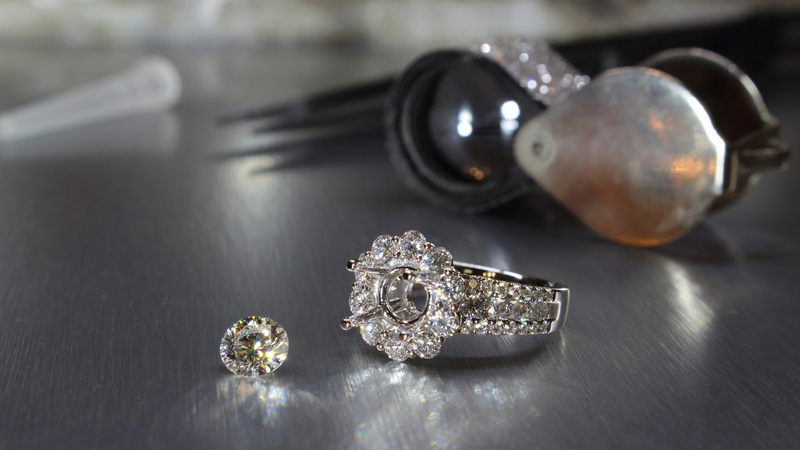 At Lafayette Jewelers and Repair, we perform repairs in-house, without outsourcing! Size Your Engagement Ring On-the-spot, While You Watch and Wait (or Shop)! Watch your treasured ring re-sized to fit your hand perfectly right before your eyes.At Lafayette Jewelers and Repair, we perform jewelry repairs in-house. Our expert staff is the number one choice for watch repair on all makes and models! Come and visit us today and experience the difference!